“Sticks and stones may break your bones, but words will never hurt you”. True, unless you sell homes then “words” become misrepresentations and deceptive acts in court. Nowhere is this more dangerous than in green building. Based upon an hour on the internet, buyers believe they are armed with expert knowledge in green building and they will immediately quiz you about it. This blog provides a few tips about when and how to protect you from potential liability. The first five minutes with a potential buyer is the most dangerous. It is during this introductory time the buyer will ask: “Are you green builder?”, “Is this home certified?”, “Do you have an Energy Star rating?” Give a wrong or incomplete answer to any of these typical questions may result in a lawsuit. A buyer will later swear under oath that they only relied upon your initial answers to these simple questions and none other to buy a half-a-million dollar home. Green liability lawsuits have increased rapidly over the past few years. They started with multi-million dollar commercial projects; however, are now common place against consumer products such as: appliances, light bulbs, and memory foam mattresses. Unfortunately, all too often home builders get caught in the middle of the consumer product case. One example is the current class action against Whirlpool where the consumers complained that the refrigerators they bought were represented as “Energy Star” when a check of the model numbers revealed they had been removed from the “Energy Star” program. A second example involves the CFB light bulbs. There are current articles warning of the cancer risk from these bulbs because they contain mercury. The moral of the story is to keep up with as much information as you can about green materials. In the past, home builders have been caught in the middle between consumers and manufacturers of Chinese dry wall, polybutylene pipe, EIFS (synthetic stucco) to name a few. It is not unreasonable to expect consumers to make claims against builders for green building materials and process. To protect yourself and your builder, verify even the most basic of claims. For instance, confirm the appliances do all have an “Energy Star” rating, and if not all of them find out which ones do and do not. Collect, then handout written materials about green attributes to potential buyers when they ask the green questions. Instead of representing the air conditioning system will save them money, give them a brochure from the manufacturer explaining the benefits of their technology. Do not ever state something is “Free of”, or “100%” because it is rarely true. As a final tip, when the buyer asks the green questions, answer them with asking for additional information from the buyer to make sure you have as much detail as you can before providing an answer- or more preferably providing them written information. Additional ways to protect the builder is to include no oral representation disclaimers in all contracts in the form and manner required by each state. Many builders and builders’ association contracts now also include a green building disclosure addendum which limits liability to some extent. Another way to provide protection is to know the local ordinances. Cities like Dallas, Texas have recently enacted green building ordinances that establish the type of testing and requirements necessary to qualify for and meet green standards. The more specific the testing and scoring used to establish certain standards the less reliance can be placed on your representations, whether they are ultimately found to be true or not. Green is the most popular phrase going. However, if you make a false representation “green” could be the dollars collected by the buyer and their attorney making the “green” claim. 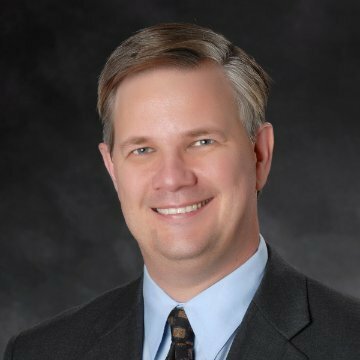 Matthew L. Motes is a Shareholder with DECKER, JONES, MCMACKIN, MCCLANE, HALL & BATES, P.C. in Fort Worth, and focuses his practice on residential and commercial construction matters. He can be reached by calling 817.336.2400 or by emailing mmotes@deckerjones.com. 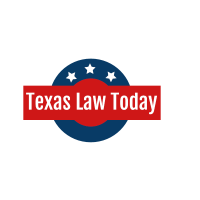 This article is provided for informational purposes only and is not a substitute for specific legal advice, and is not intended to create an attorney-client relationship between Mr. Motes, his firm, and the readers of this publication. This entry was posted in Construction Law, Litigation and tagged commercial construction, Decker Jones McMackin McClane Hall & Bates, energy star, green, green building, green litigation, matt motes, texas construction. Kelly Decker practices family law and civil litigation. Ms. Decker specializes in complex divorce cases that require experience and knowledge in real estate, business and probate law. 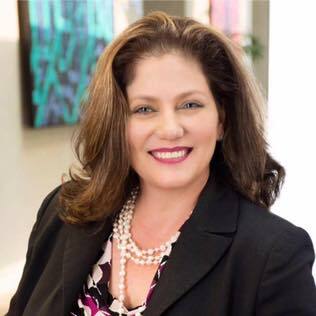 Her background is distinguished by years of trial and appellate experience in real estate, oil & gas, contract and fiduciary duty litigation. This entry was posted in Business Law, Litigation and tagged bank records, civil procedure, contempt, Decker Jones McMackin McClane Hall & Bates, divorce, evidence, Kelly Decker, lawsuit, Litigation, phone records, subpoena power.